Though having got more than 10 Rolls-Royces, Reuben Singh has just added 6 others from the British brand. The extravagant order has Roll-Royce CEO personally delivered it to the billionaire's private house. Speaking of Rolls-Royce, the luxury brand for the higher class consumers, we are often wired to thinking about professional footballers who would need some days or weeks of playing to prepare for a British beast of this kind or more commonly, the Nigerian Billionaire Akin-Olugbade who is a true Roll-Royce collector. But today, Naijauto.com will present you the one guy whose name should from now on be engraved in you mind if you are ever a fan of Rolls-Royce because he is surely one as well. 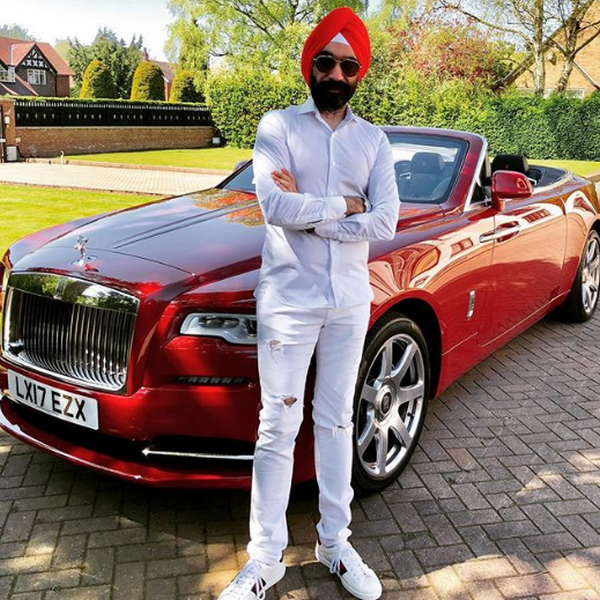 Reuben Singh, the CEO of Isher Capital and AlldayPA, an Indian living in the UK, is very famous for his fleet of top-notch cars from luxury brands across the globe. But above all, Rolls-Royce is the most haunting brand to his hobby of collecting super expensive cars. With a garage already houses more than 10 cars with the Rolls-Royce badges on, a Lamborghini Huracan, a Pagani Huayara, a Porsche 918 Spyder, a Bugatti Veyron, and a Ferrari F12 Berlinette Limited Edition, the Indian tycoon has once again wowed the luxury car enthusiast community with 3 newly acquired Phantoms And 3 Cullinan SUVs. Especially, the 6 exotic pieces of automotive toy come in customized paint of Emerald Green, Ruby, and Sapphire, and were personally delivered to the private accommodation of the Billionaire by the CEO of the British car brand, Torsten Muller-Otvos. Among those Rolls-Royces, the least expensive (Rolls-Royce Cullinan) costs up to £250k (~N114b) while the price for the Phantom starts at £360k (~N169b).